The latest wildfires that scorched across the state destroyed around 7,000 homes. Of course, that is just a rough estimate and it is believed that many more structures were burnt to the ground. There is an equal amount of homes that suffered smoke damage from the intensity of these fires. It’s going to take months, if not years, to totally rebuild everything that was lost. It all begins with the cleanup. That can be a very emotional moment for these homeowners. That’s why they can use all the help they can get. A company like Junk King Sacramento understands the nature of these types of cleanups and will handle them with efficiency and support. The crews that work for Junk King Sacramento have cleaned up all kinds of debris. They’ve cleared out quarter homes, foreclosed apartments, abandoned lots and even illegal dumping sites. When it comes to cleaning up after a disaster like a wildfire or mudslide, Junk King likes to provide a fast response. They know that homeowners can’t move on until the debris cleanup is completed. The standard Junk King crew consist of two licensed and insured movers. But with these bigger cleanups, junk King will happily dispatch additional crews and trucks to get the job done. It’s not uncommon to have at least a half a dozen crewmembers working on a single site. Best of all, you won’t be charge extra for additional movers. Your fee will always be based on how the trucks are filled. These experienced crews can look over any pile of debris you know exactly how it will fit onto the truck. Whether it will take up half the truck, a quarter or the whole truck bed that is how you will be priced. Even though a lot of what Junk King handles in a debris cleanup might be considered trash the still lot they could also be recycled. Junk King will always maintain its eco-friendly disposal policy regardless of what’s been loaded onto the truck. If they think it can be repurposed, then the make sure the item is dropped off at the proper facility. If you need any type of debris cleanup handled quickly and at a fair price, then count on Junk King Sacramento to get the job done. 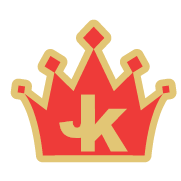 This entry was posted in sacramento junk removal and tagged debris cleanup, fires, Junk King, junk removal on October 23, 2017 by Junk King. Last updated October 23, 2017 .